LOCAL Bundaberg businesses have received a much needed boost with a new incentive delivering apprentices for the region. 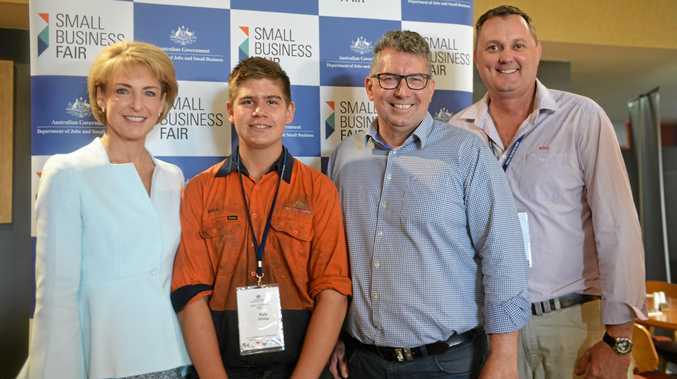 The Bundaberg Small Business Fair was officially opened by Minister for Small and Family Business, Skills and Vocational Education Michaelia Cash and Member for Hinkler Keith Pitt, where they announced 20 new apprentices for the Hinkler electorate. The new apprentices were hired under the $60 million Australian Apprenticeships Wage Subsidy which was introduced on January 1. The subsidy provides 75 per cent of the apprentice's award wage in the first year, 50 per cent in the second year and 25 per cent in the third year. Dealer principal of McDonald Murphy Machinery Ross Cheshire was able to hire 16-year-old Kyle Grima through the program. "It's meant a lot to us as a small business owner," he said. "We could put Kyle on and with that 75 per cent in the first year, it goes towards covering three quarters of his wage. "It's a costly thing for employers to put on apprentices because you don't get an immediate return on your investment, but you're training for the future." Mr Cheshire said with the funding he could put on an additional apprentice instead of just one a year. "We like to put on one apprentice per year to try and build our skill base among our dealership," he said. "What it will allow me to do is possibly put another one on in July." Diesel-fitting apprentice Kyle said he felt privileged to obtain his position. "It's something I've been wanting to do for a few years now and with this grant it's allowed Ross to put me on," he said. "I've been looking for a while and did some work experience with Ross and he put me on. "It is hard, you can't just go somewhere and get an apprenticeship straight away, you've got to work for it." Ms Cash said getting out to regional areas and hearing the stories of small businesses was important. "You've got to get out to rural and regional Australia to understand the challenges rural and regional Australians face," she said. "It's also to ensure they have the information they need and that's why the government has been taking these Small Business Fairs directly to businesses themselves. "Information is power, it could be the answer to a question that you've had that unlocks your business potential. "When we say small and family businesses are the backbone of Australia, they are - we need small and family businesses because when they prosper and grow the whole of Australia benefits." 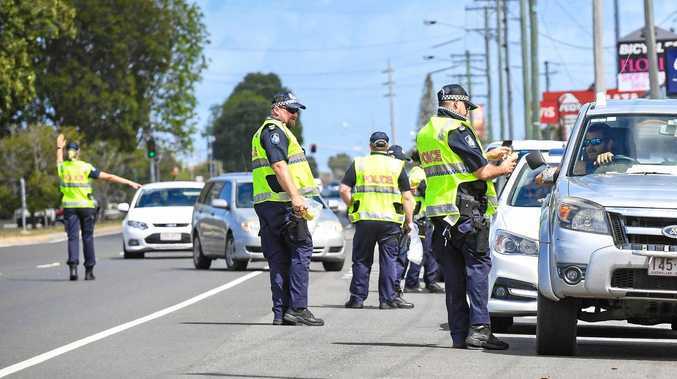 Member for Hinkler Keith Pitt said as a former businessman, he understood how tough it was for local small businesses. "Small businesses are the ones who are providing employment and driving the economy - when they're successful we're successful. "It is important our people get every advantage, like if you live in a city, you shouldn't be disadvantaged because you choose to live in a regional area."